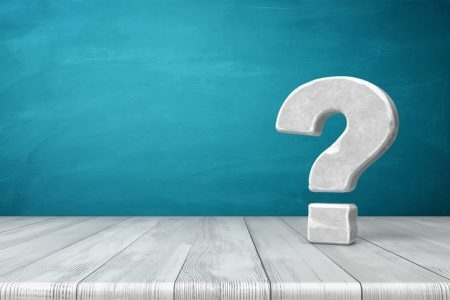 This article will help you answer those questions. It is a simple guide to increasing website traffic for beginners. Basic concepts – this section will take you through the most important concepts of traffic building. Core priorities – this section will introduce you to the core priorities you should be working on. How-to strategy – this section will give you a specific step-by-step strategy that will help you leverage your time and resources in order to generate the maximum amount of targeted website traffic, possible. Strictly speaking, website traffic is anybody and anything that visits your website. 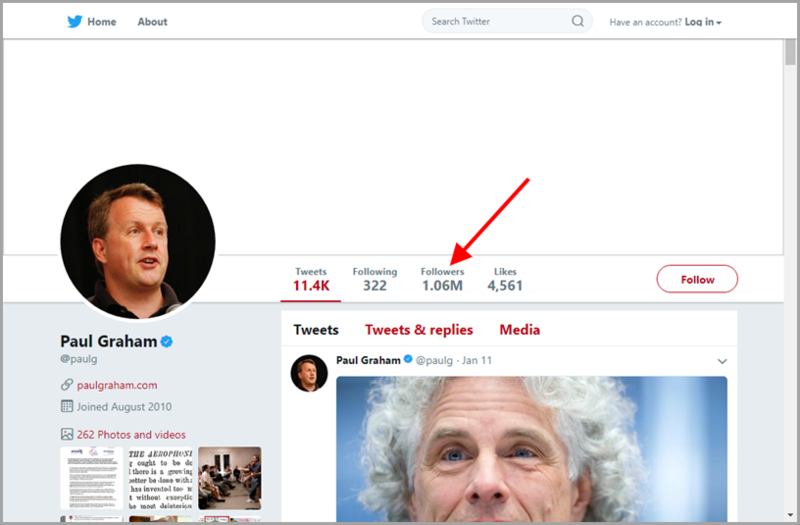 This includes both human visitors and automated bots (which are, basically, computer programs designed to roam the Internet for one reason or another). Obviously, it’s the human visitors you care about the most. But, you need to pay attention to the bots, too. Some of them are important. Googlebot, for example, is a program Google uses to crawl your website for the purpose of indexing in Google Search. If you don’t allow it to access your site, you will effectively exclude yourself from Google and you can say ‘goodbye’ to the free traffic from this all-important search engine. 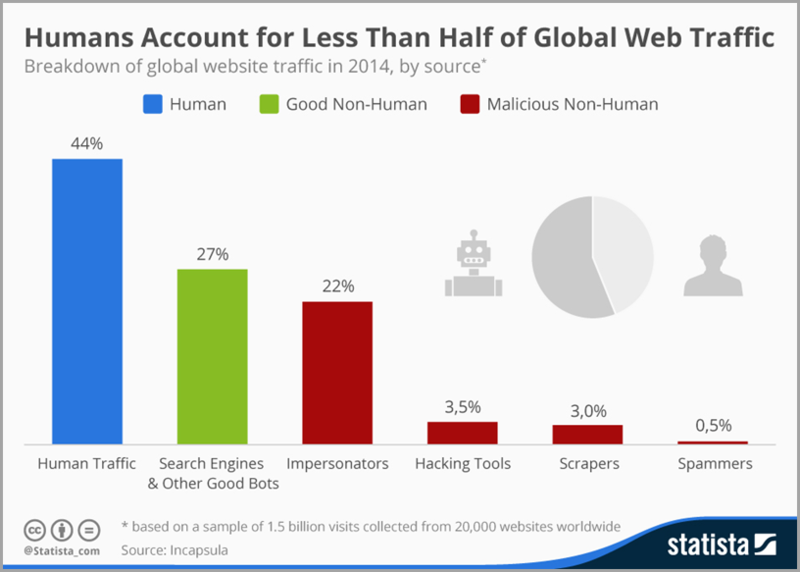 Other bots, however, can be malicious and could potentially cause a lot of harm. Therefore, website security is extremely important. Especially, as the popularity of your website grows, thanks to you implementing the traffic generating priorities and strategies mentioned later in this article. When you think about it, there is virtually an unlimited number of traffic sources. Basically, every online document (including non-HTML ones, such as PDF files), every chat message, every post on Facebook, every tweet, every game, can contain a website link. Furthermore, a website address can be typed into any online browser on any Internet-enabled device. In order to make some sense of this, it is useful to think of website traffic in terms of marketing channels according to its origin. This is traffic that comes from the search engines’ organic results. 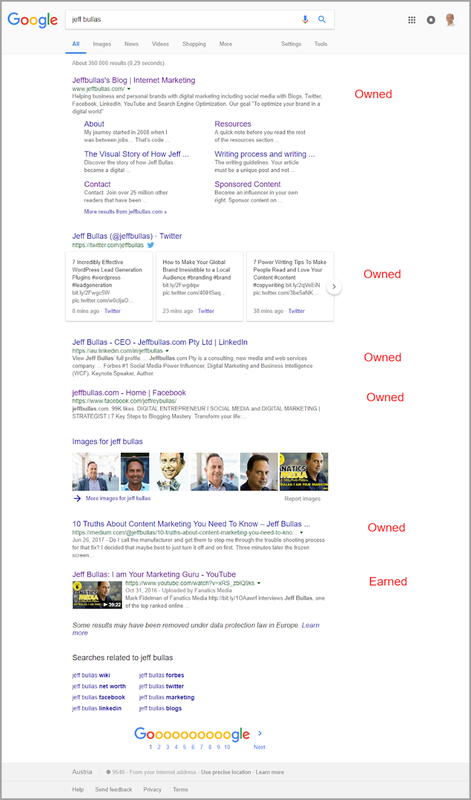 When people search for something in Google, for example, and then click on a result that is not a paid ad, they are referred to as organic traffic. 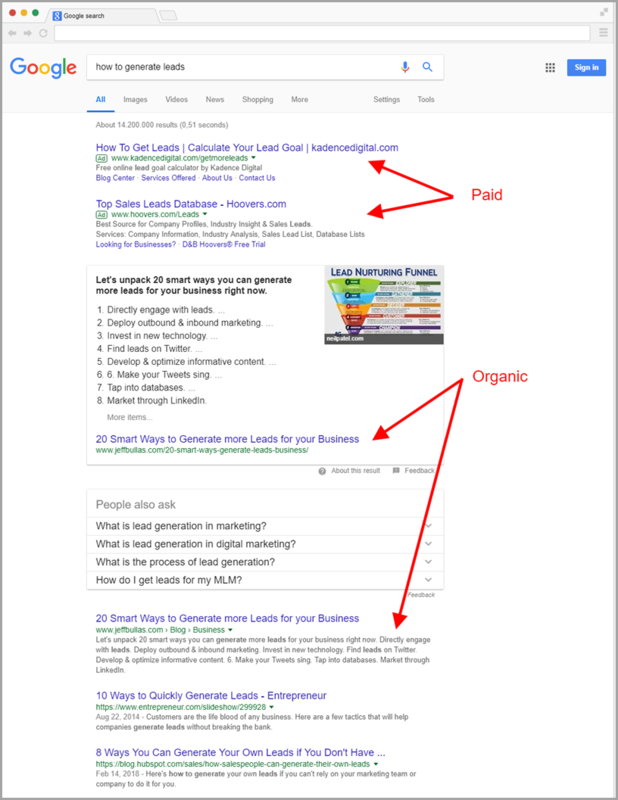 The opposite of organic search is paid search. Paid Search traffic occurs when somebody clicks on an advertisement inside the search results. You need to pay for this traffic, usually on a pay-per-click (PPC) basis. 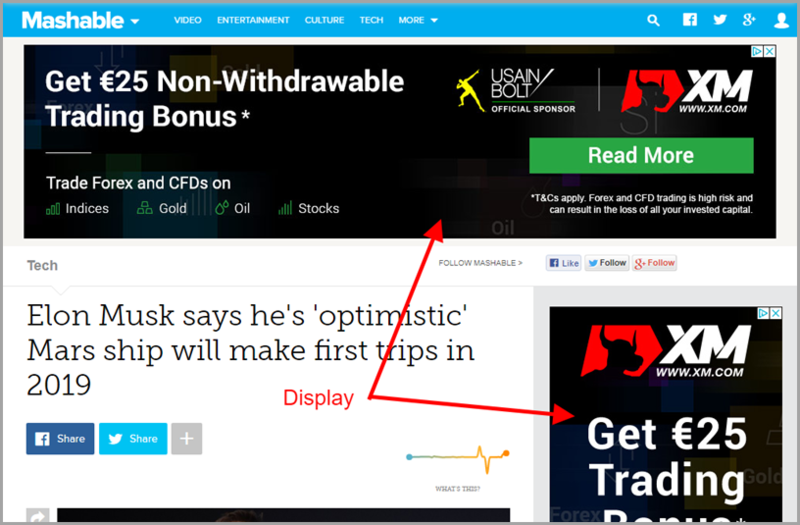 It means you pay each time someone clicks on your ad. This traffic is from display advertising, such as Google AdWords remarketing campaigns, banner advertising, and contextual ads. Whenever users’ click on a link from another website (other than major search engines), they are categorized as referral traffic. 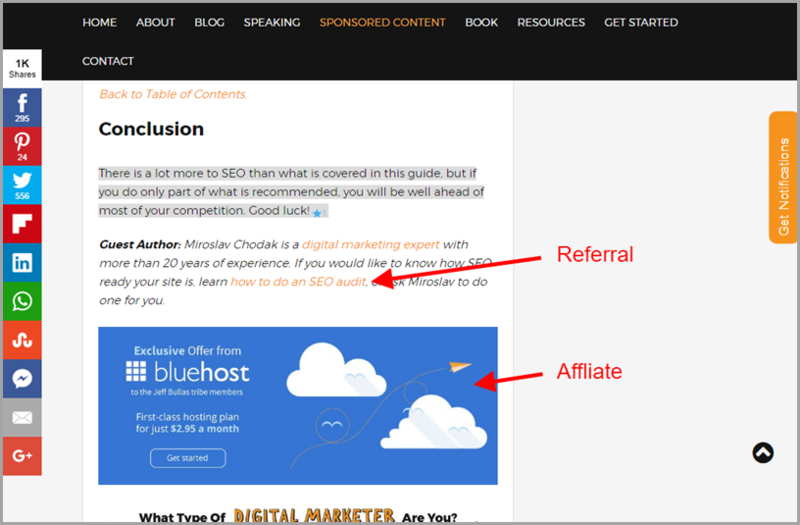 Any traffic resulting from affiliate marketing efforts, namely visitors arriving at your website via affiliate links, is called affiliate traffic. Strictly speaking, direct traffic originates when someone navigates to your website by typing its address into their browser. However, in Google Analytics, direct traffic numbers can sometimes be inflated because traffic from unrecognized sources is also accounted for as direct traffic. Visits from social media sites that are not ads, such as Facebook, Twitter, Instagram, etc. are called social traffic. This category includes traffic from clicks on links in email messages, whether mass email marketing or individual messages. Anything else that doesn’t fit one of the above categories. You want to keep track of who is visiting your website, what pages they visit, how long they stay, and where they have come from. One of the best tools for measuring and analyzing website traffic is Google Analytics. It is extremely powerful and if you don’t already have it installed, it is highly recommended you do so as soon as possible. To monitor traffic from individual channels, navigate to Acquisition > All Traffic > Source/Medium and viola! At the same time, it is important to note that Google Analytics bundles traffic into channels based on the source and/or medium parameters, passed by the links themselves. This means that the quality of the data depends on how good a job you do at tagging your campaigns. If done incorrectly (or not done at all), traffic can end up being miscategorized and your data will not show the real picture. So, make sure you read up on how to use Google Analytics and, specifically, on the implementation of UTM parameters for tagging campaigns. You probably noticed from the list of channels above that, with the exception of Direct traffic, in all other instances the visitor arrives at your website after clicking on a link. 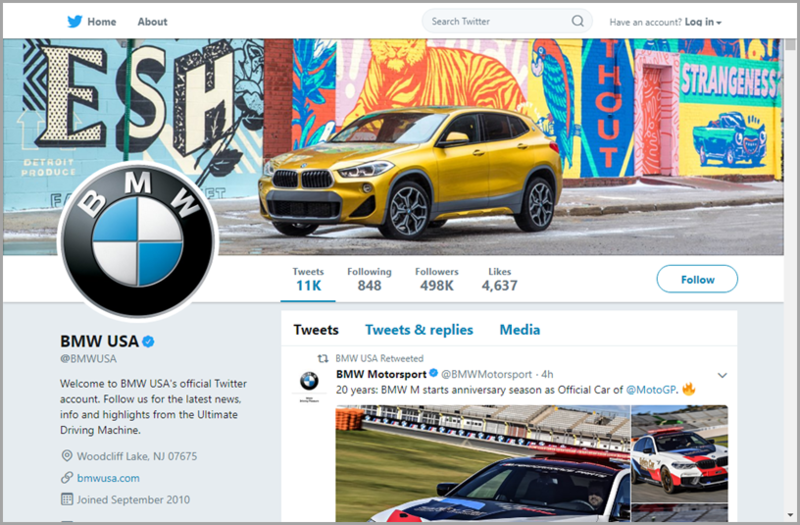 Normally, the context in which the link is placed, the actual link text (or image) or both, would make it clear that clicking it will take the visitor to your website. However, some webmasters try to hide from their visitors that clicking something will result in them ending up on another website. 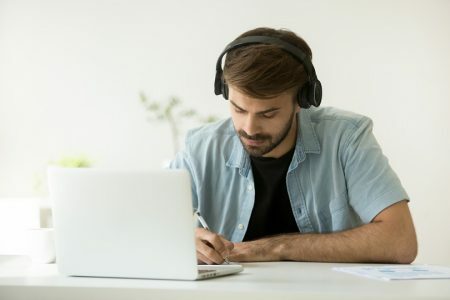 For example, infamously, free video-sharing sites often apply deceptive advertising tactics, where clicking the play button in the media player, will automatically open the advertiser’s website in a new window. 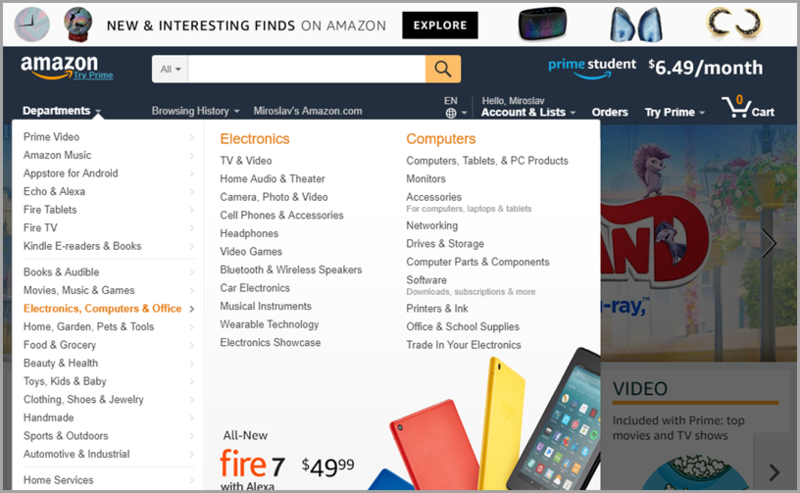 Another example is automatic popups or popunders, where the advertiser’s website is loaded in a separate window. These and other deceptive tactics are not recommended and you should always stay away from them. First, they annoy the hell out of your visitors because they hinder (rather than help) them from accomplishing the task they originally set out to do. Second, these tactics tend to convert very poorly. So, while you can get tons of visitors to your website quickly, only a tiny percentage of them will take the action you want them to. As a result, you need to buy even more traffic. This not only increases your cost but also alienates even more potential customers in the process. Finally, but not lastly, deceptive obtrusive tactics are frowned upon by the search engines. If you are not careful, using them might actually harm your ability to attract visitors from organic search (think Google penalty). Oh, and you won’t be able to use certain paid search services, including Google Adwords, to advertise your services, because you would be breaking their terms of service. Before we get to discuss the actual process of building website traffic, there is one more concept I want you to understand. It is the concept of owned media. Earned media – media you have no control over; these are usually other peoples’ websites, social media channels, etc. Paid media – media you pay to get mentioned on or linked to; these are places you can get to via advertising, most frequently through the big advertising programs, such as Google Adwords or Facebook Ads. Owned media – media you have full control over; these are all your different websites, social media accounts, etc. It is the last one, owned media, that has the potential to become the cornerstone of your Internet marketing strategy. Because you have total editorial control over the content (within the applicable terms of service, of course), you are able to shape these in the exact way you need. Anything you do should contribute to one of these objectives. If it doesn’t, your efforts are likely going to waste. At this point, I could discuss an endless list of tactics – which would undoubtedly impress you, but ultimately you wouldn’t know how to choose or even where to start. Instead, I’m going to give you a list of top priorities to focus on, which will guide you in everything you do. I have selected these priorities with special consideration to beginners and also business owners with limited time and money. Later, I will show you how to leverage these priorities off one another in creating your traffic building strategy. You will see how your work on one priority will boost the effectiveness of results under other priorities while minimizing the effort and required resources. Your first priority is to get clear on who your ideal visitor is. This process is called building a customer avatar (or buyer persona) and is absolutely crucial to your success. Because it informs pretty much your entire marketing strategy and your sales process. Only once you know who your ideal visitor is, are you able to make informed decisions on what type of content to produce, which platforms to buy advertisements on, etc. Their goals and values as they pertain to your product or service. Their challenges and pain points (what compels them to take action?). It is possible (likely, in fact) that you will end up with multiple avatars, as you go through this process. This is entirely fine as long as you don’t go overboard and create a separate avatar for each nuanced difference. Also, as you line up your customer avatars, you will likely realize that only one or two are responsible for most of your business. Those are the ones to focus on for traffic building, primarily. Your second priority is to work on identifying topics with a good return on investment (ROI). The combination of your buyer persona and your choice of keywords/topics will inform your content strategy and your content marketing efforts. Content marketing produces three times more leads than paid search and, generally, outbound marketing. It has both smaller up-front costs and bigger long-term benefits. Furthermore, as time goes on, content continues to perform with no extra expenses required. Meanwhile, paid search needs a continual cash flow to maintain results. Content marketing drives six times higher conversions than traditional marketing for converting people into leads and leads into customers. Generating leads through content marketing costs 62% less than outbound marketing. Bottom line: content marketing works. It is efficient, compelling, less expensive and persuasive without being intrusive. So, how do you find content topics that have the best potential for driving the highest return on your investment (ROI)? First, ask yourself the following question: “What issues, problems or questions do my ideal customers face immediately before, after or while they are using my product or service?”. Try to spot commonalities or patterns that might indicate the existence of broader topics. 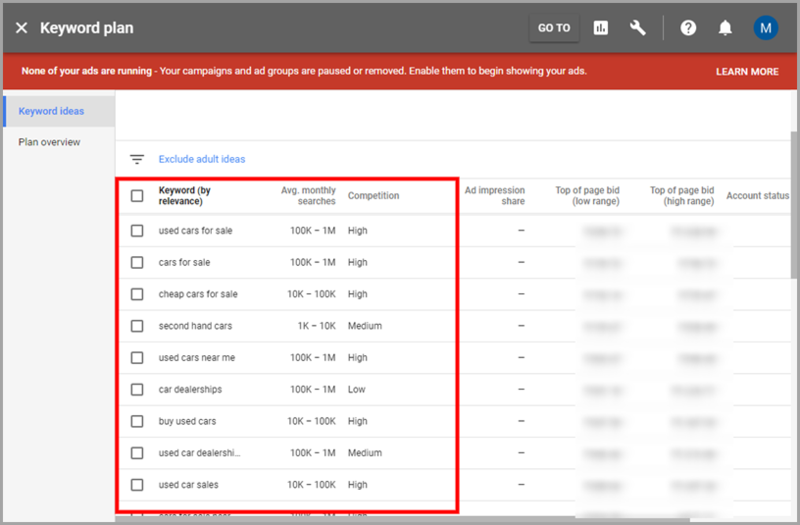 Once you brainstorm a list of potential topics, open the AdWords Keyword Planner tool and type in your topics, one by one, while matching the targeting settings as close as possible to your ideal visitor avatar. 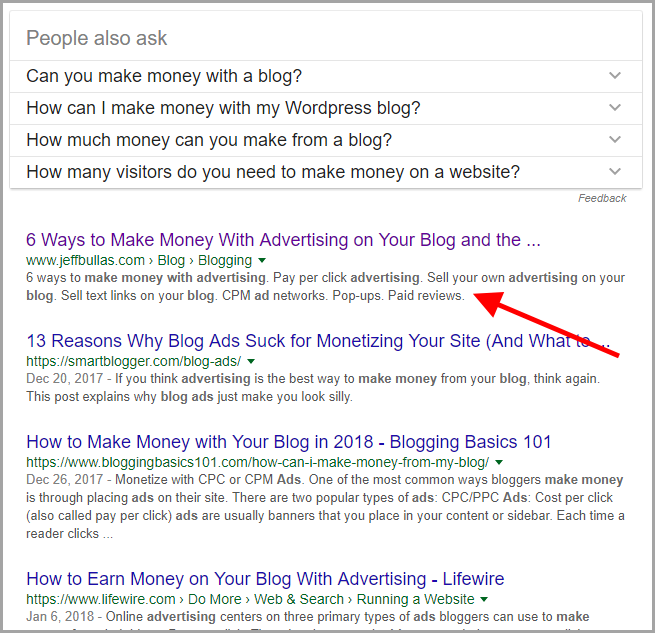 Review other keyword ideas and take note of all keywords that might be relevant. Collect data on keyword volume (Avg. monthly searches) and suggested bid price. Prioritize the data to identify the most relevant keywords/topics with the biggest search volume and highest bid price. These are topics that have the highest potential ROI for you. To convince someone, who has never heard of you, that you are the best choice for them – especially when they might not even know they have a problem – is a tall order at best. Awareness – They must first become aware that they have a problem and that you have a solution for it. Evaluation – Next, they must now evaluate the various solutions available to them, including your competitors’. Conversion – Only then comes the purchase and, ideally, the prospect becomes a repeat customer. To move a prospect through all these stages, you will need to give them content specifically designed to satisfy their needs at each stage. 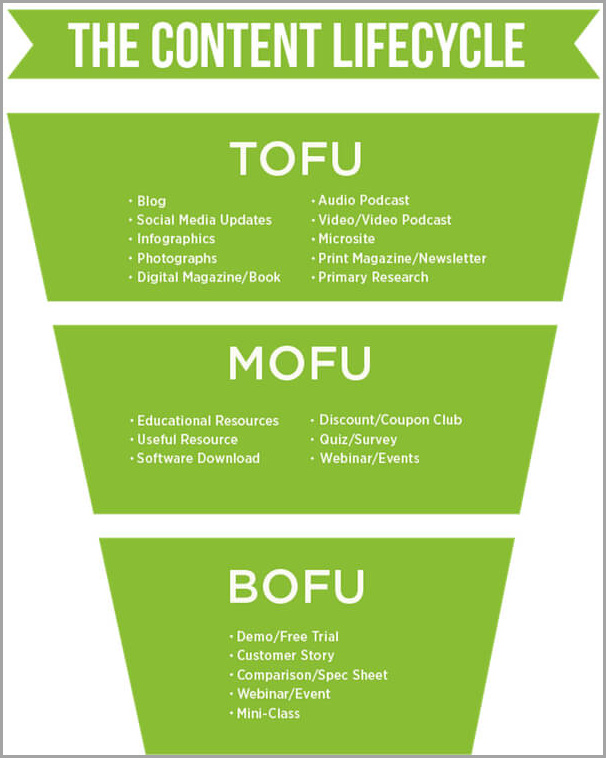 … and each part of the funnel requires a different kind of content. I know what you are thinking now, “How on Earth am I going to create all this content?” The good news is, if you are strategic about it, it doesn’t have to be a lot. You see, the key to perfect content marketing is understanding and anticipating your visitors’ intent, and then, creating the content “assets” needed to address that intent. The benefit of having content suitable for different stages of the customer journey is that you will be able to capture even those people who are not yet actively looking for your product or service. The result is more website traffic and more opportunities to build lasting customer relationships. 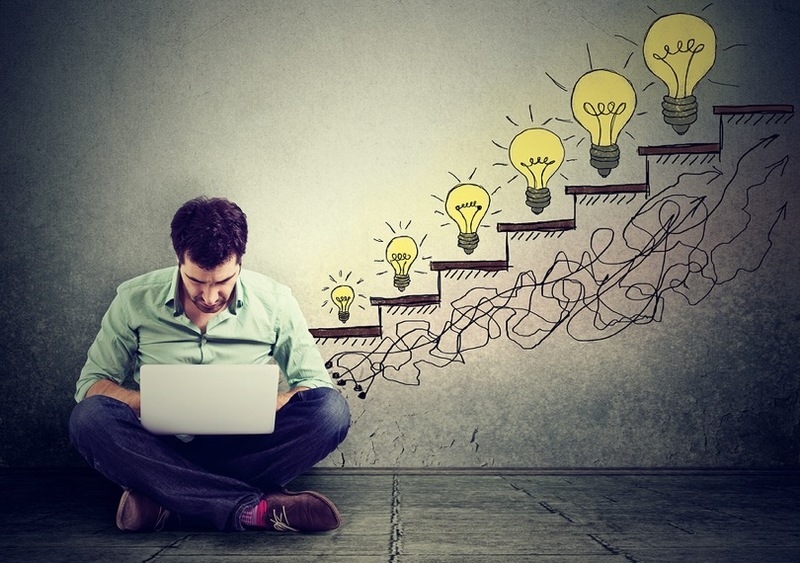 As you work on your content, optimizing it for the search engines should become second nature. You don’t need to become an SEO expert. Nor do you need to hire one. But, you should have at least some grasp of the SEO basics. At a minimum, you need to master title tags and meta description tags. A title tag is a piece of HTML code that contains the title of a web page. It is meant to be an accurate and concise description of the page’s content. Title tags are a major factor in helping search engines understand what your pages are about, and they are the first piece of information most people will see when they search for something in Google or other major search engines, or when somebody pastes a link for them on social media or in their favorite messaging application. 1. Search engine result pages. 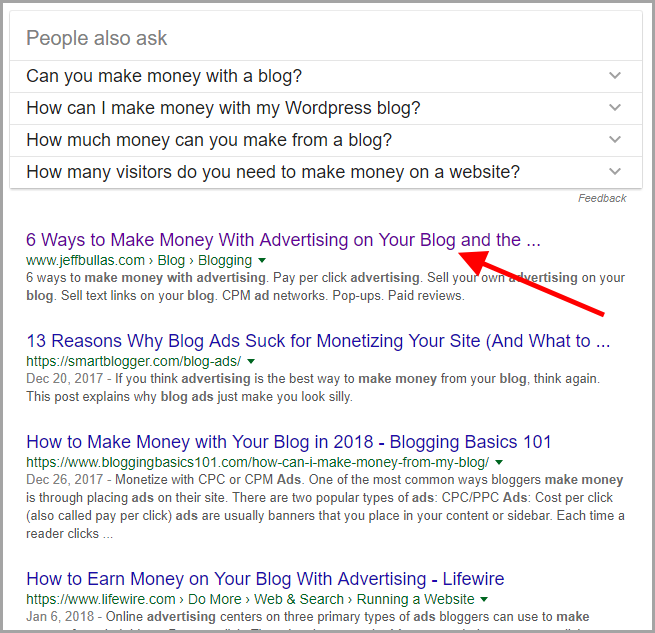 Because title tags are such an important part of both search engine optimization and the user experience, writing good title tags is one of your best investments. Write copy that gets the click. Put important keyword(s) first. Don’t keyword-stuff. Include your brand name (if applicable). Try to stand out in the search results (be different). Keep your titles under 65 characters in length. A meta description is another piece of HTML code. It is meant to provide a summary of a web page. Meta descriptions are not a ranking factor in Google. Nevertheless, they are an important element of your SEO strategy. Why? They appear underneath the blue clickable links in search result pages (SERPs). Therefore, they do impact user behavior, specifically, whether the user clicks on a result or not. As a result, a high-performing meta description will get you more clicks from the same ranking position. 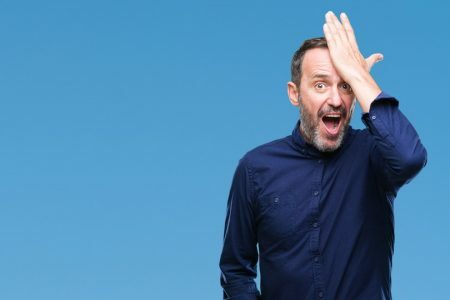 Also, because user behavior influences Google rankings, an above-average click-through rate (CTR) is likely to have a positive impact on your rankings. Write them as compelling ads. Write a unique meta description for each page. Keep the length under 300 characters. Of course, there is a lot more to SEO than title and meta description tags and it makes sense to invest time into learning it. 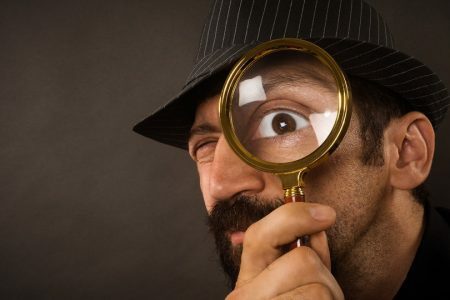 Also, if you have an established website, learn how to perform an SEO audit. It will help you determine if there is something wrong with your website if it’s been penalized by Google, and to identify your SEO priorities. It helps you better understand how to move them faster along their customer journey, converting them from visitors to customers. It sends a positive signal to Google and results in better ranking positions in Google Search. So, improving user engagement is a big deal. Click-through rate – the percentage of people who click on your link (e.g. search result listing, ad, link on another website, etc.). Time on site – the average amount of time a visitor spends on your website. Page views per session – the average number of pages a visitor sees per visit. Return visits – the percentage of returning visitors for a given time period (daily, weekly, monthly, annually). Action was taken – the percentage of visitors who took action. 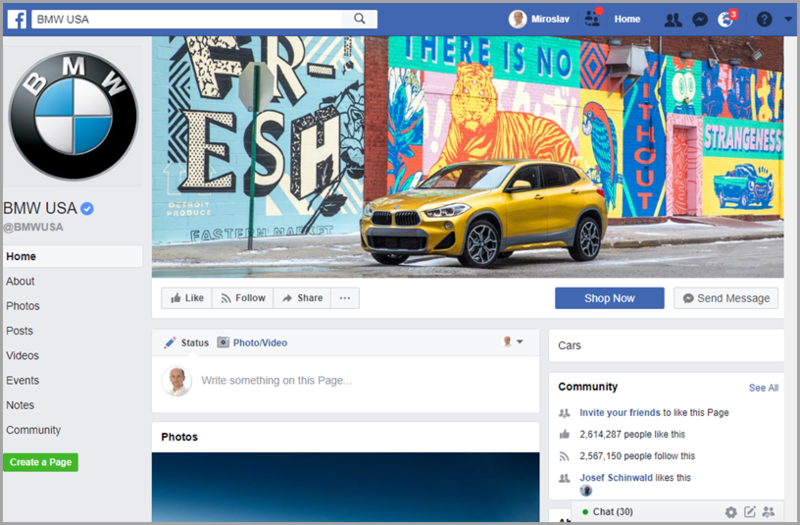 The action could be anything that is important to your customer journey: making a purchase, subscribing to your newsletter, requesting a free demo, leaving a comment, sharing your content on social media sites, etc. Bounce rate – the percentage of visitors who left your website after viewing only one page. Compelling link text and accompanying supporting text (in case of search results pages, these are compelling titles and meta descriptions; in case of ads, these are the ad headline and the ad copy). Fast-loading website. 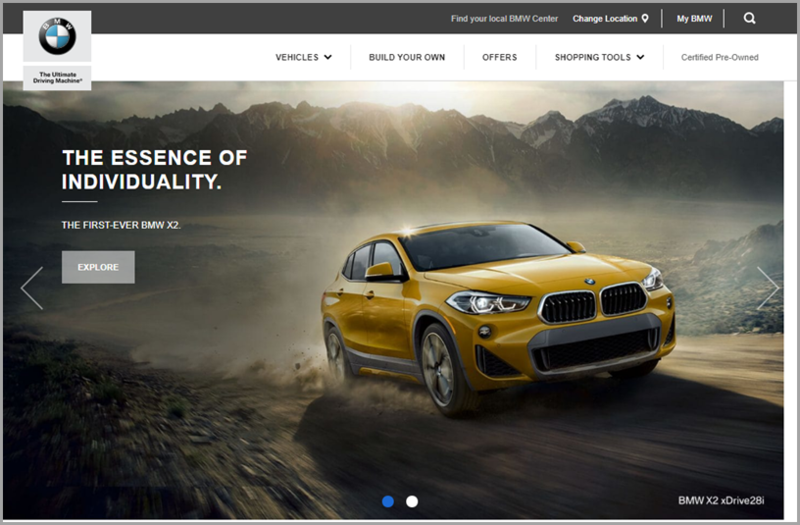 A fast website is good for user experience. Ideally, it should load in under 2 seconds. Good web design. Professional design communicates trustworthiness. It also helps improve the user experience. Naturally, your website should look good on mobile devices, too. Easy navigation. Every important section of your website should be easily accessible from any other page. The visitor should be easily able to identify their current location and its position within the site’s hierarchy. Quality content. Your content should be readable, understandable and easy to scan, with a clear structure and appropriate headers and supporting sub-headers. Good visuals and use of other media help to keep users engaged and provides additional ways to consume the content. Message match. 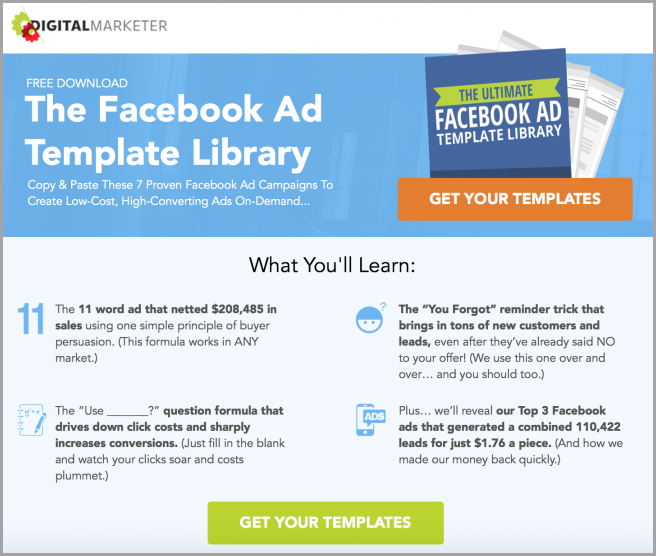 Your landing pages should match the phrasing of any ad copy or a link text that brought the visitors there. This applies particularly to the pages’ headlines and visuals. Strong message match reduces friction and reassures users they’ve arrived at the right place. 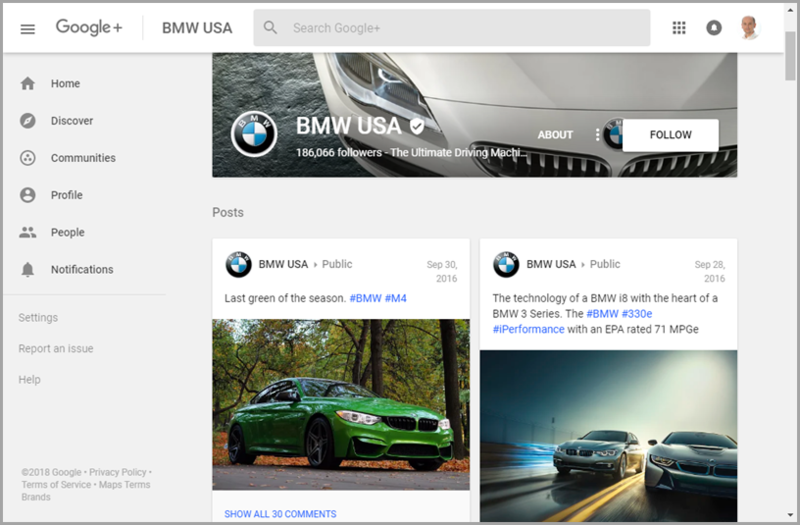 Prominent and compelling calls to action (including social sharing buttons, where relevant). Additional content options available and clearly visible to users who didn’t take action. The premise of this priority is simple: be where your customers are. The world is getting busier and noisier. There is an endless stream of information to consume, millions of products offered, and thousands of advertising messages constantly thrown at people. As a result, more and more customers are using multiple channels to find the information they need to evaluate products and services. They rely less on your website and the relationship with your sales representative. They tend to find more information on their own. Because of this, you need to be in all the places your customers are using to search for information and help them find it. 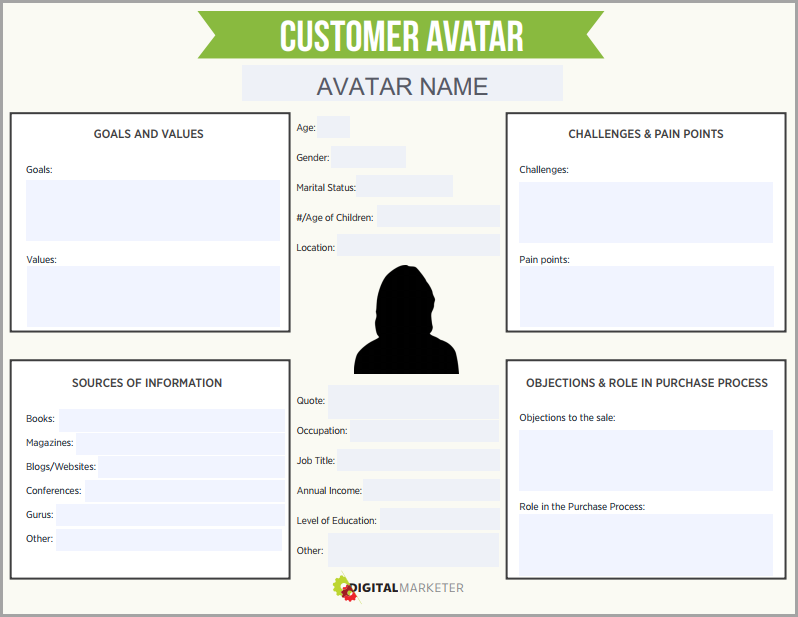 To start, review the information you collected when you were creating your customer avatars. Where are your ideal customers hanging out? Where do they spend most of their time online? Are most of them on Facebook? Then you need to be on Facebook. Do they have a Twitter account? You need a Twitter account, too. Reddit? Pinterest? Instagram? Youtube? Any of the industry-specific or niche social sites? Yes, you need an account on each. If this sounds overwhelming, it is. Luckily, there are social media tools that help automatize most of the work. Targeted messaging – You need to be delivering the right message to the right audience, at the right time. 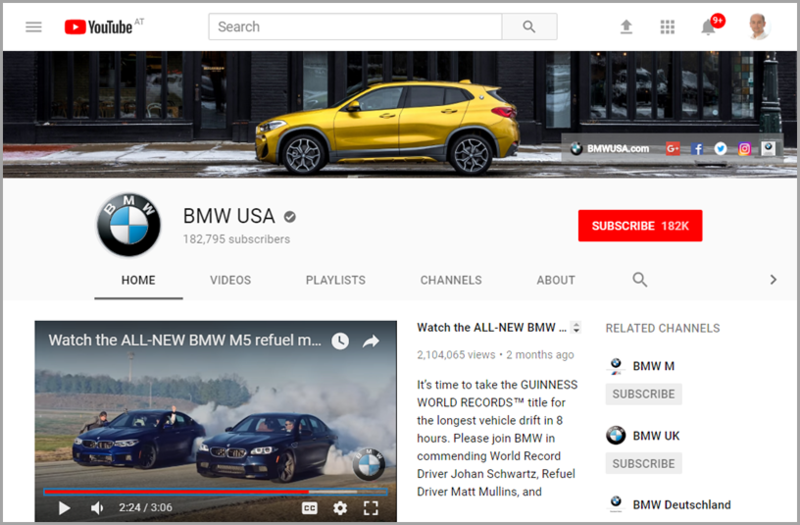 Highly choreographed campaigns – Your campaigns need to be carefully coordinated across all channels, in a way that the customer finds meaningful and trustworthy. Measuring results – It is increasingly difficult to know which channels, campaigns or sequence of touch points contribute to qualified conversions and sales. Create and maintain a single view of the customer across all channels. 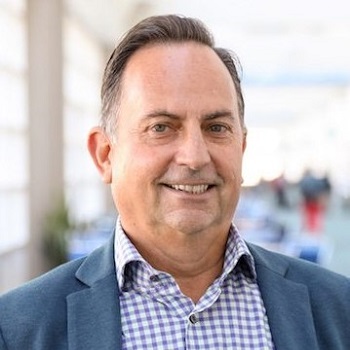 Because today’s customers interact with your brand in a variety of ways across multiple touch points, it is vital you understand how your customers behave across all channels. Establish a multichannel marketing platform. Treating your multi-channel presence as a platform, you will be able to integrate all channels, present, and future. It will also greatly simplify your campaign execution, as a single campaign can be replicated across various channels. Create consistent customer experiences across all channels. While the quality of the customer experience is important, consistency is equally important. That’s because your customers experience your brand as a whole, whether their interactions with you are online, in a store, over the phone, or some combination of these. 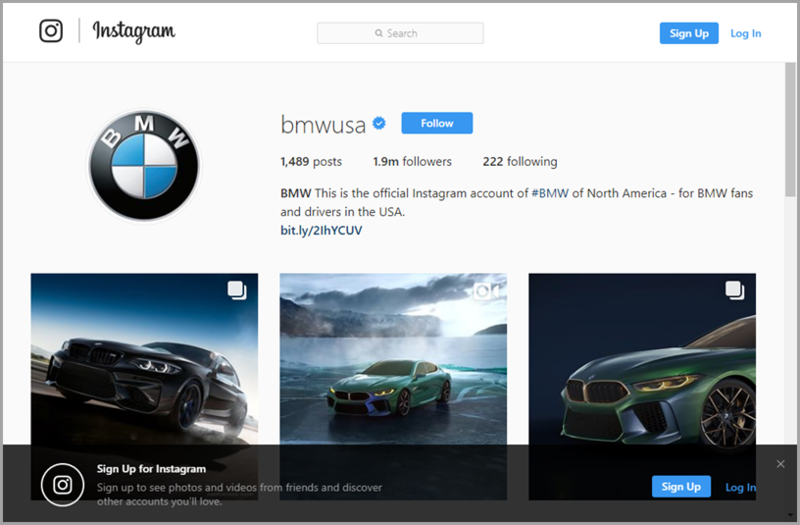 Can Multiple Channel Social Media Marketing Increase Your Brand’s Influence? Consumers trust recommendations from a third party more than from the brand itself. Whenever you are able to get a person, who has authority and is respected by your target audience to say something positive about your product or service, you are increasing your chances of success. Whenever you align with an influencer they bring their own audience, but also the audiences of their audience. 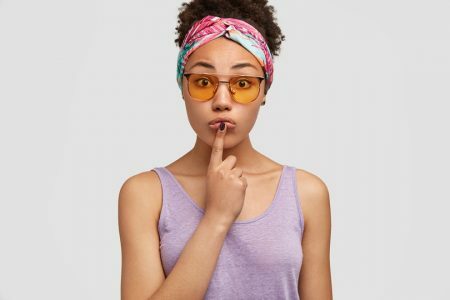 As a result, an influencer has the ability to drive significant traffic to your website, increase your social media exposure, and even flat-out sell your product or service through their recommendation. This is why it is essential for you to build relationships with relevant influencers. 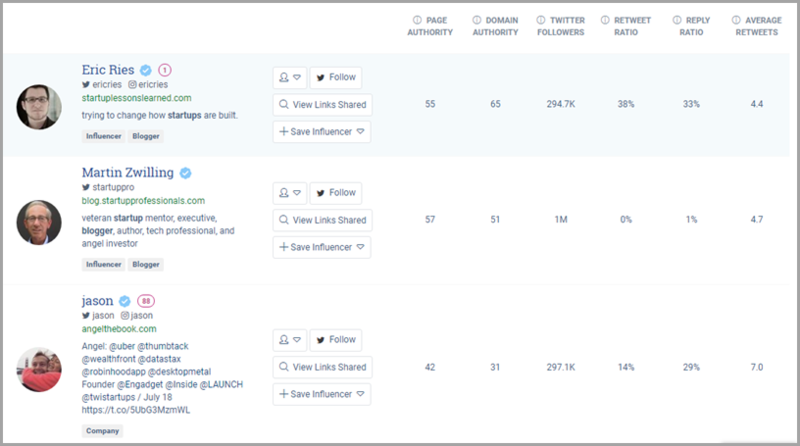 To find influencers, you can use tools such as BuzzSumo (see screenshot below) or simply start reading top blogs and publications in your industry. Context – they need to be a contextual fit for you. The space in which the influencer operates needs to be sufficiently relevant to your industry, product or service. Reach – the more people they are able to reach, the more value they can deliver. Actionability – this is their ability to get their audience to act. This comes easier, when you are reaching the right target audience and there is a contextual alignment with your brand. Be clear on your objectives and know which type of influencer is right for your brand. Understand the influencer’s brand and ensure there is a fit with your own brand. Invest in building long-term relationships with the right influencers. Get the content right and work with influencers based on their strengths. Do everything in your power to maintain the influencer’s authenticity. I’m sure you have heard that saying before. It is still true now, as it was true years ago. Only, the definition of a list has changed (better say, expanded). Yes, the traditional e-mail list is still a part of it. But, there are now other “list” forms. One of them is friends, fans, and followers on social media. Whether it be on Facebook, Instagram, Twitter or another social site, they all opted to connect with you. You don’t necessarily have their contact details, but you do have their virtual permission to reach out to them with your message via the platform provided by the social media site. So, as you are building your presence on these social media sites (see the section on multiple channels above), make sure a part of your strategy is building your followers. 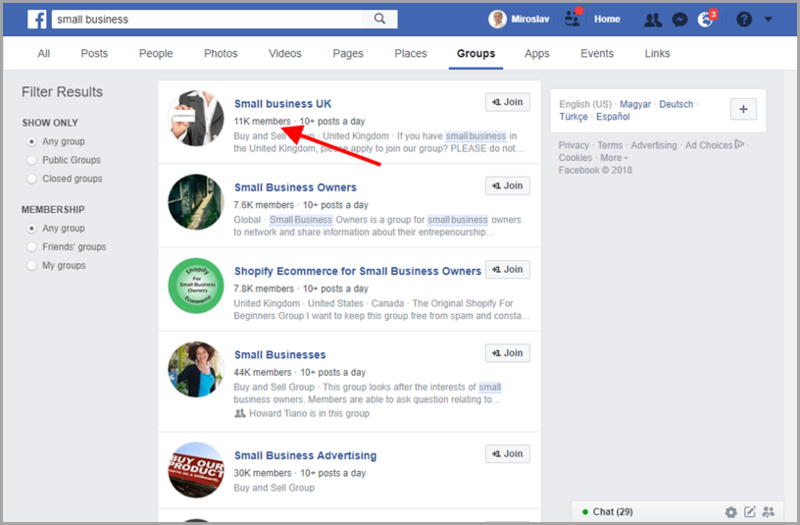 If Facebook is one of your marketing channels, consider creating a Facebook group around a topic your ideal audience has a continued interest in. While Facebook page reach is dropping like a stone, your ability to reach your group members still remains strong. Remarketing is another way to reach the people who interacted with you at some point. You have pretty much zero personal information about these people. But, you do know what pages they visited, what actions they took, and are able to create your messaging sequences accordingly. Finally, careful targeting and using lookalike audiences with Facebook advertising is another way to reach specific types of people that match the criteria of your ideal visitor. The more you know about who your ideal customers are, the better you are able to target them. It is the least tangible “list” of the bunch, but you should definitely think of it as such and use it accordingly. If the above traffic building priorities sound a bit too abstract, it’s because they are. Their purpose is to give your efforts the right focus. However, now I’m going to show you how these priorities can be applied in practice as part of a strategy that builds on the brilliant skyscraper technique, created by Brian Dean of Backlinko. Use SEO and social media tools to identify which content is performing well in your niche. Find a popular site in your industry. 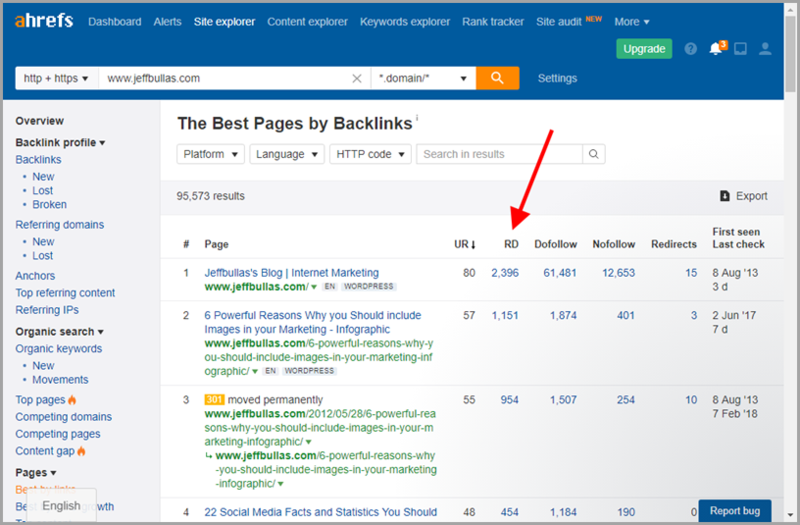 Input that site’s domain name into ahrefs.com Site Explorer. 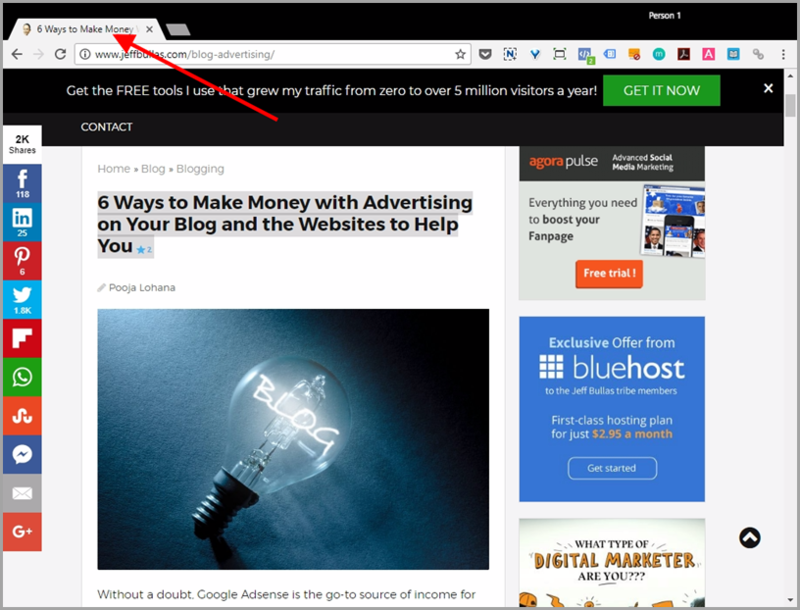 Click the Pages > Best by links and look for content with at least 25 different referring domains linking to it. Enter a keyword related to your topic into BuzzSumo’s Content Research tool and in the section Filter by Date, choose Past Year. From the list of high-performing content, make a shortlist of topics that would be well suited for your site, product or service. Pop the chosen topic (keyword) into Google and review the top ranking results. Take a note of the scope and quality of the already ranking content and try to identify ways to make your content even better. Then, create your content piece. A lead magnet is a “bribe” you offer to a prospect in exchange for their contact information. They don’t have to be lengthy or complex. But, they do need to solve a specific problem with a specific solution for your ideal target visitor. The key to a successful lead magnet is that it must offer tremendous value within five minutes of the opt-in. Once you have the lead magnet, include an opt-in form with powerful copy and a call-to-action inside your content piece. Publish your content and test the opt-in form. #1. Ask your friends and colleagues to share your content. In either case, do not include the URL to the article. Send it only once they express interest! #3. 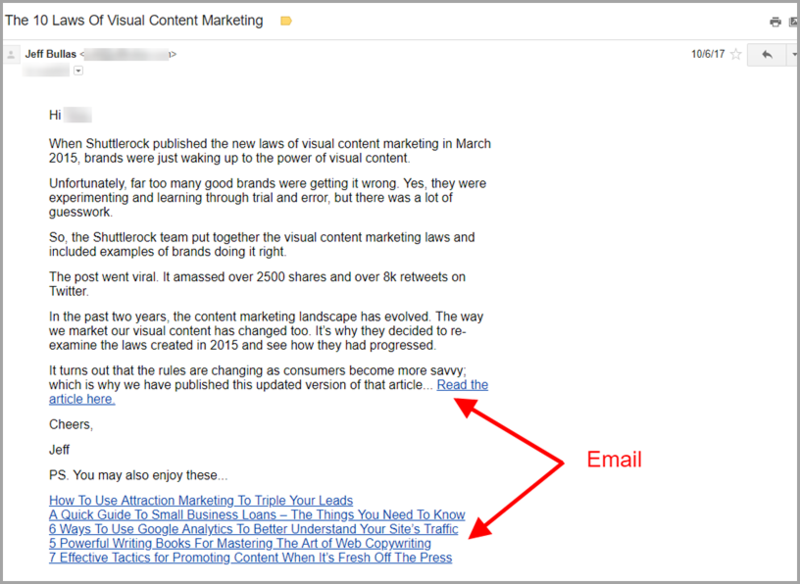 Email all companies mentioned in your content to let them know they’ve been featured. #4. Contact people who have linked to similar content in the past. Go to ahrefs and export all the links pointing to competing content into a spreadsheet. Remove any pages/domains that don’t make any sense to contact, like forums, product reviews, etc. #5. Send a summary of your article with a link to your e-mail list. #6. 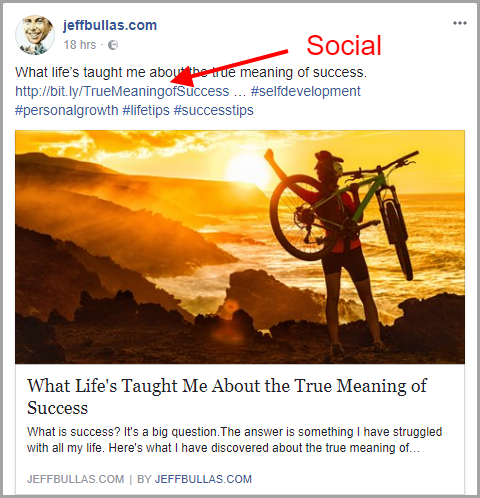 Post a short summary of your article with a link to all your social media accounts. #7. Pay to reach relevant and lookalike audiences with your post summarizing the article. #8. 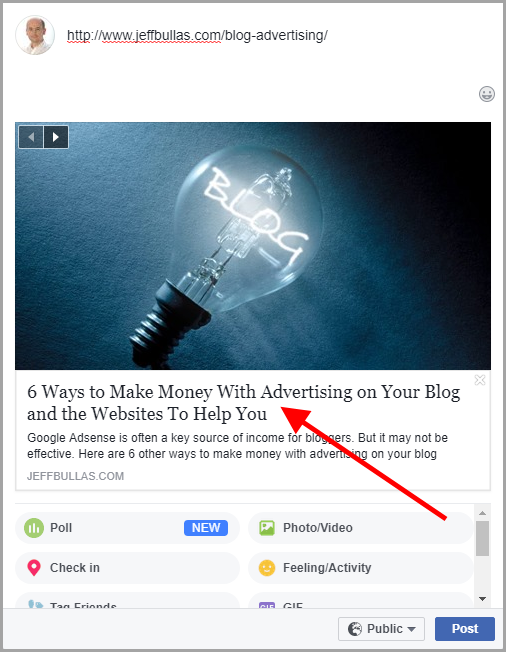 Create a custom audience on Facebook for people who saw your article, but did not take action (opted-in for the lead magnet), and run an ad for the lead magnet. So, there you have it: a clear guide to increase your website traffic. Start by defining your ideal target audience and identify your keywords/content topics. Then create content and promote it, focusing on the priorities listed above. Guest author: Miroslav Chodak is the owner of chodak.com, the trusted source of free operating procedures for business owners and marketing professionals. If you would like to discuss your traffic building plans with Miroslav, sign up for a free consultation today!